This love of plants is clearly shown in a genre of poetry, the rawdiya or garden poem, probably of Persian origin, which came to be one of the main poetic forms in the Abbasid orient from the eighth to the tenth century. In the garden poem, the author exclaimed at the coolness of the shade, the heaviness of the perfume, the music of the running water, the lushness of the foliage and so forth - in short at all the features of the artificially contrived environment which contrasted so strongly with the arid natural world. By the ninth century the genre had arrived in Spain where it was to reach its greatest heights in the eleven century; gardens became… probably the most common of all Arabigo-Andalus poetic themes. These were not mere words; they corresponded to a reality. Early Muslims everywhere made earthly gardens that gave glimpses of the heavenly garden to come. Long indeed would be the list of early Islamic cities which could boast huge expanses of gardens. To give only a few examples, Basra is described by the early geographers as a veritable Venice, with mile after mile of canals criss-crossing the gardens and orchards; Nisbin, a city in Mesopotamia, was said to have 40,000 gardens of fruit trees, and Damascus 110,000; Al-Fustat [Old Cairo],with its multi-storey dwellings, had thousands of private gardens, some of great splendour; in North Africa, one learns of a multitude of gardens, surrounding and even inside cities such as Tunis, Algiers, Tlemcen, and Marakesh, places which today are not conspicuous for their greenery; in Spain, writers speak endlessly of the gardens and lieux de plaisance of Seville, bCordoba and Valencia, the last of which was called by one of them "the scent bottle of al-Andalus". The most spectacular gardens of all were those of the rulers… the garden of al-Mu'tasim at Samarra; the great royal parks of the Aghlabid amirs of Tunisia, situated near Qairawan, and later the famous garden of the Hafsid rulers of Tunisia; those of the Fatimid caliphs of Egypt, and of the visier al-Afdal; the gardens surrounding the royal palaces at Fez and Marakesh; the great botanical gardens of `Abd al-Rahman, the first Ummayad amir of Spain; the Huerta del Rey in Toledo; the gardens of many of the Taifa kings of Spain; those of the Il-Khans and Timurids at Tabriz and elsewhere; and that of Mahmud of Ghazna at Balkh. One of the more elaborate gardens was that of Khumarawaih, a Tulunid ruler of Egypt in the later ninth century, who made a royal garden said to be in the Persian manner. According to al-Maqrizi, the glory of this garden was its palm trees, whose trunks were covered with gold; behind this covering were pipes which brought water up the side of the trees and sprayed it out from various openings into pools. In this way royal gardens might have been focal point in the process of plant diffusion. The evidence we have suggests that this was actually the case. It was in stocking their gardens with rare and exotic plants that many rulers gave full reign to their collecting instincts. We are told, for instance, that the first Umayyad amir of Spain, Abd al-Rahman, was passionately fond of flowers and plants, and collected in his garden rare plants from every part of the world. He sent agents to Syria and other parts of the east to procure new plants and seeds. A new kind of pomegranate was introduced into Spain through his garden. The date palm, too, was probably, or reintroduced, by him. By the tenth century, the royal gardens at Cordoba seem to have become botanical gardens, with fields for experimentation with seeds, cuttings and roots brought in from the outermost reaches of the world. Other royal gardens, in Spain and elsewhere, also became the sites of serious scientific activity as well as places of amusement. 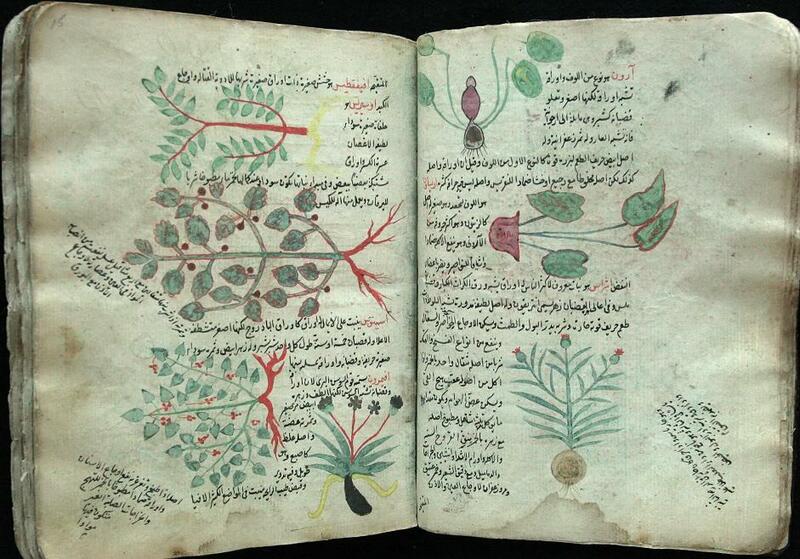 A very important recently discovered geographical manuscript, that of al-Udhri, relates that al-Mu'tasim, a Taifa king, brought many rare plants to his garden in Almeira; these, we are told, included banana and sugar cane (both of which, however, were already known in other parts of Spain). 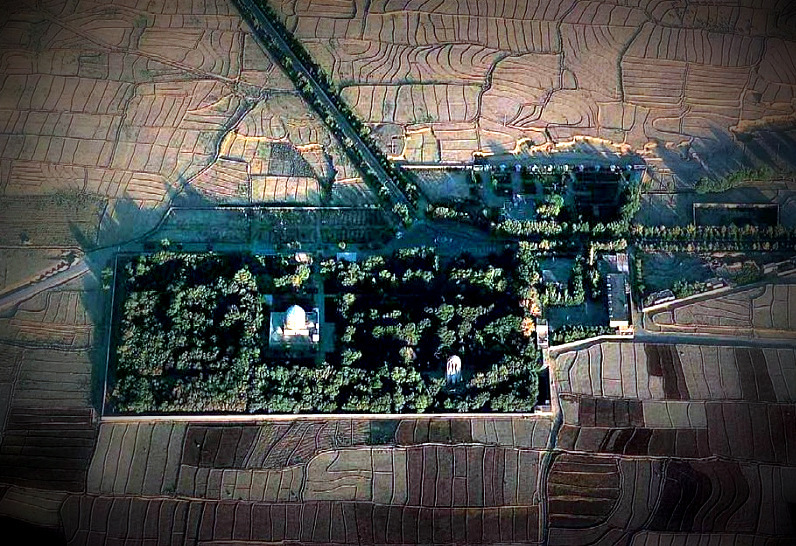 At the other end of the Islamic world, in Tabriz, the garden of the Il-Khans was used to acclimatize rare fruit trees from India, China, Malaysia and Central Asia. In many parts of the Islamic world this royal interest in botanical research and agricultural innovation outlasted the agricultural revolution by several centuries: the sources tell of Syrian plants introduced into his garden in Cairo by the Mamluk sultan Qalawun; of a thirteenth century king of Kanem who experimented with the growing of sugar cane in his garden; and of a number of fourteenth-century Yemeni sultans who were seriously interested in botanical and agricultural research, one of whom wrote an agricultural treatise, while another imported exotic tress and was the first to plant rice in the valley of Zabid. Another sign of the serious nature of these undertakings is the fact that such gardens were often in the charge of leading scientists: that of the Il-Khans was directed by a Persian botanist who wrote a book on the grafting of fruit trees; al-Tignari, the author of an important Andalusian farming manual made botanical gardens for a Spanish Taifa king and then for the Almoravid prince Tamim; in the garden of a sultan of Seville, the author of an anonymous botanical treatise domesticated rare Iberian plants and acclimatized exotic ones; in the twelfth century the famous botanist and physician al-Shafran collected plants from many outlying regions of Spain for the garden of an Almohad sultan at Guadix ; the Huerta del Rey in Toledo was directed by two of Spain's leading agronomes, Ibn Bassal and Ibn Wafid, both of whom carried out agricultural experiments and wrote important manuals of farming, the texts of which have recently been discovered. Ibn Wafid was also the author of a book of simples, which gives, inter alia, the names and uses of many of the new plants being introduced into Spain. After the fall of Toledo in 1085, both scientists moved to the South of Spain and continued their work there; Ibn Bassal planted another botanical garden in Seville for his new patron, al-Mu'tamid, the Taifa king. Thus the gardens of the medieval Islamic world, and particularly the royal gardens, were places where business was mixed with pleasure, science with art. By being part of a network which linked together the agricultural and botanical activities of distant regions, they played a role - perhaps one of great importance - in the diffusion of useful plants. Only many centuries later did Europe possess similar botanical gardens which helped to make it the same kind of medium for plant diffusion that the Islamic world had been in the Middle Ages.